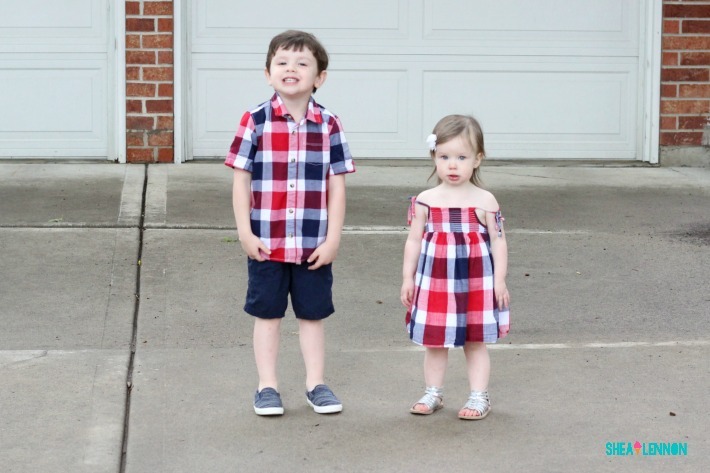 I took full advantage of the fact that Jona will still happily match Violet, and bought these coordinating red, white, and navy checkered outfits. The rest of the week he's all about the superhero or sports tee, but for church and other special occasions he knows that mom gets to pick. He started to complain about wearing this button up (the outrage!) until I told him Violet would be wearing the same pattern, and then he cooperated fully. Violet, on the other hand, doesn't seem to care much what she wears. She goes non-stop though, so getting her dressed is like wrestling a monkey. 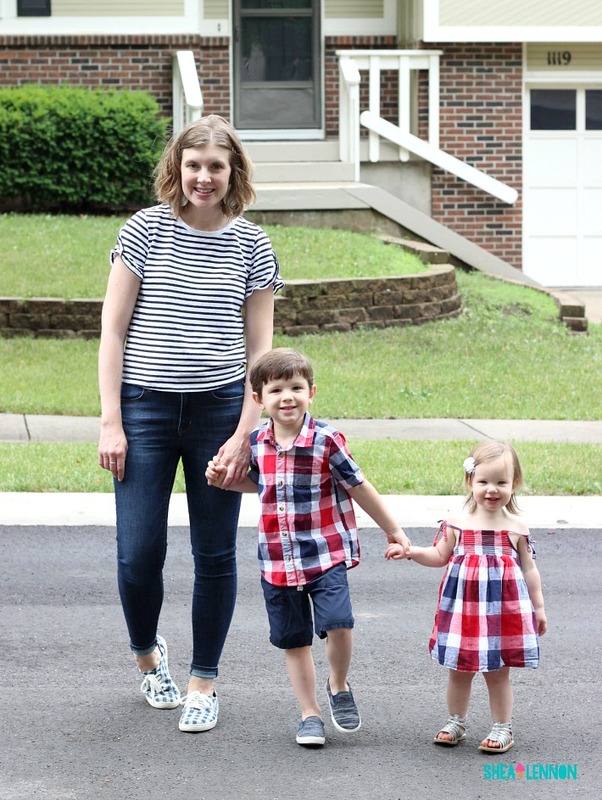 I hadn't planned on taking blog photos of my casual look, but when I saw the kids together in their coordinating outfits, I had to make it happen. 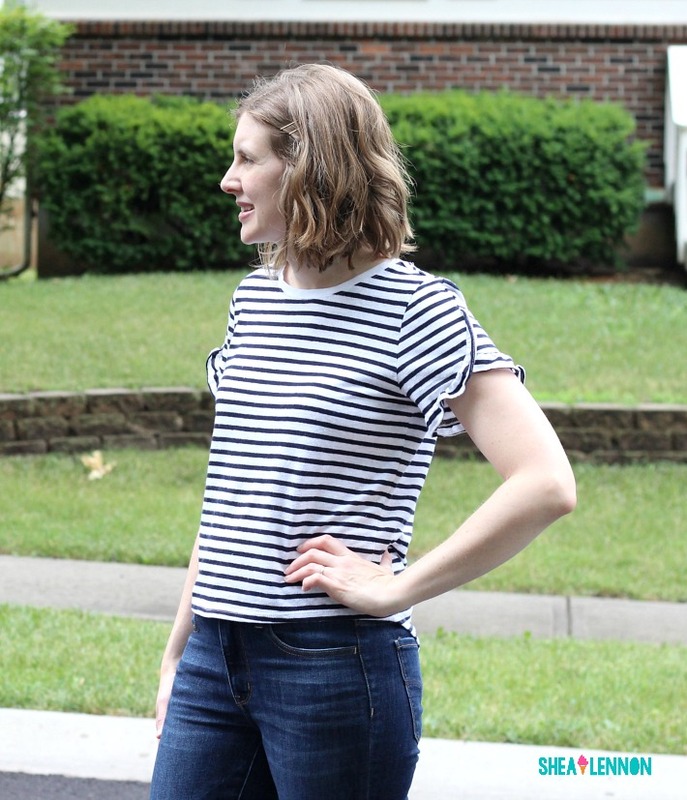 My look is less overtly patriotic--just navy and white, but still feels fun and summery. I picked up this top on a recent Target run and can't get enough of the cute sleeves. 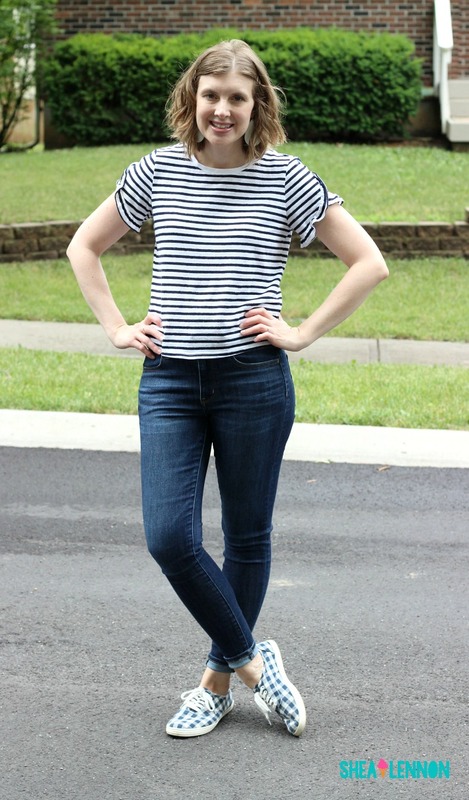 It's a little shorter than I'd prefer, but with higher-waist jeans or a skirt I like it. 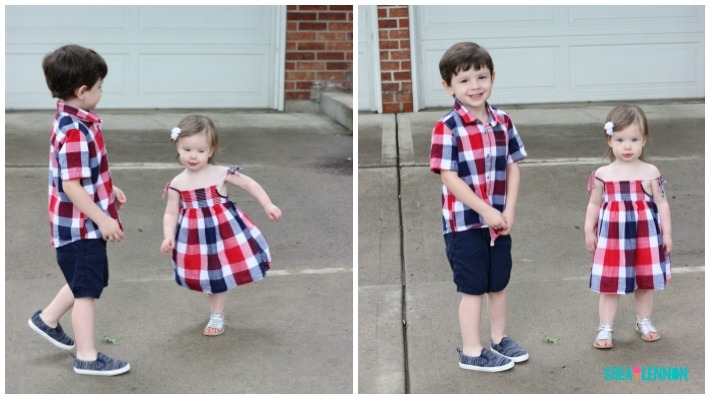 If you have kids do you like dressing them alike or coordinating them with you? Did your parents do that to you as a child?